Add some uniqueness and characteristic to any bedroom with these amazing chest of drawers from our range of mosaic furniture and retro furniture. A perfect item that matches our patterned tallboy chest. 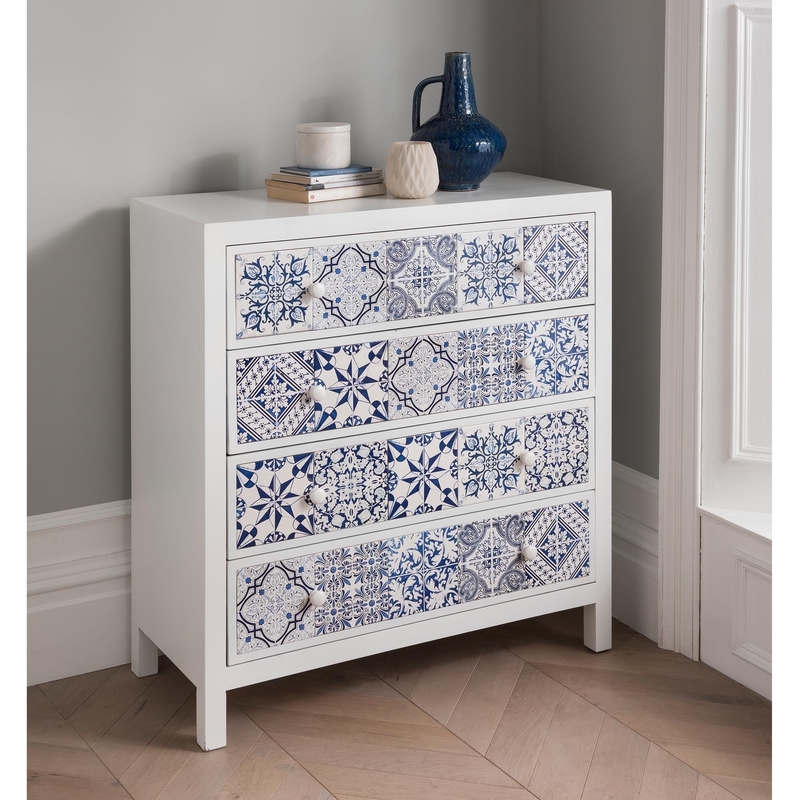 With a gorgeous Antique White french styled look these patterned drawers will go beautifully in any room and bringing more design and style along with them which is never a bad thing.